Hello! New plant owner and newbie. 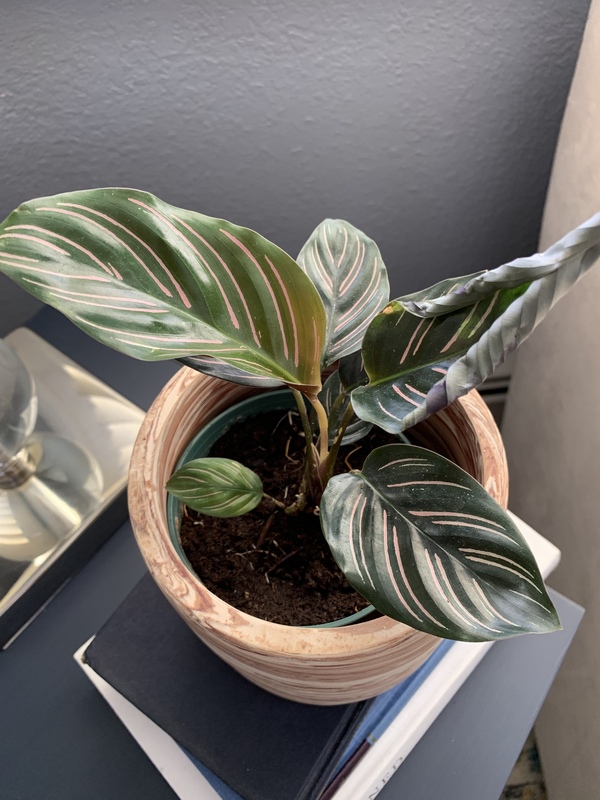 So, I ordered a Calathea Pinstripe, which I realize now was probably not the best choice for a beginner. Ha! Anyway, probably a silly question, but when it arrives, do I leave it in the pot it comes in and then set that directly into a planter? Or, do I need to cut it out and plant it? Recommendations for soil, etc? Also, I live in a drier climate and I know they like humidity. Will misting it be enough? Any tips for this beginner would be much appreciated!! Andrea I just got it yesterday and I have a leaf curling. Anything to be worried about? I’ve been trying to baby it since it arrived! !